Even earlier this weekend, Bethesda released a handful of images all showcasing bright pink graffiti against urban backdrops. One features a taxi with the number 14 written inside of a pink hand; another features a set of rotten teeth with 5 and 14 carved into them with pink; a man wielding some sort of weapons has 5.14 written on his fingers while a man holding a grenade has 5 and 14 written on his fingernails. Rage’s Twitter page was recently wiped entirely clean and now only has two tweets. The first visible tweet on the page pokes fun at an accidental leakage by Walmart. Earlier this month, Rage 2, Gears of War 5, Just Cause 4, Beyond Good and Evil 2, and a handful of other titles all appeared as pre-orders on Walmart’s website. Obviously, some of the titles above haven’t even actually been announced yet, but the fact that Bethesda poked fun at the listing gave the leaks some credence. 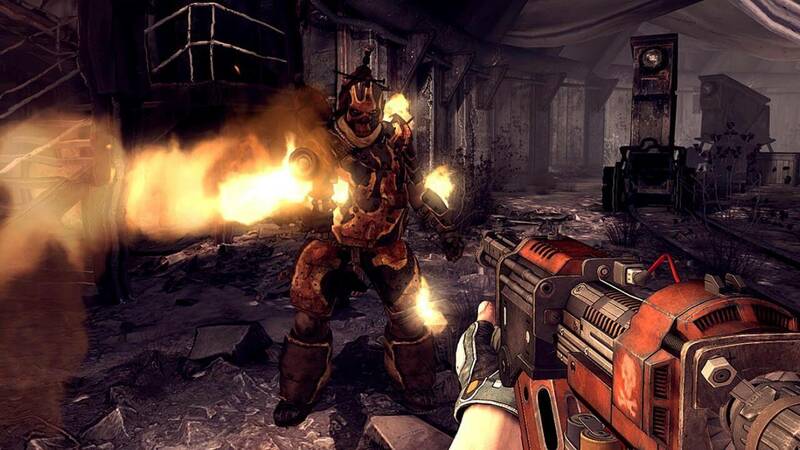 Rage is a first-person shooter that takes place in a post-apocalyptic world similar to the Fallout series. Released back in 2011, you play as a soldier who was hibernating underground after an asteroid hits Earth. After he emerges, he discovers that he is wanted by an organization known as The Authority. However, until Bethesda makes their announcement official sometime tomorrow, this is all still speculation. Pretty direct speculation, but speculation all the same. Are you hoping for a Rage sequel? Let us know in the comments below, and keep coming back to The Nerd Stash for all of your nerdy news and needs!